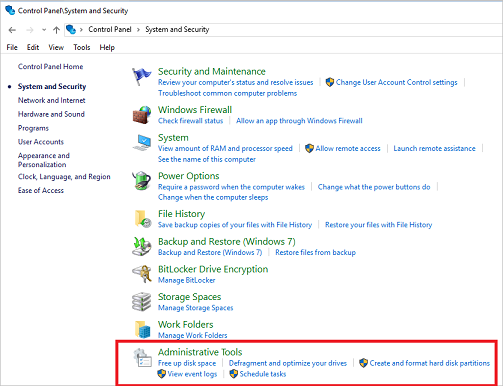 Administrative Tools is a folder in Control Panel that contains tools for system administrators and advanced users. The tools in the folder might vary depending on which edition of Windows you are using. These tools were included in previous versions of Windows and the associated documentation for each tool should help you use these tools in Windows 10. The following list links to documentation for each tool. If the content that is linked to a tool in the following list doesn't provide the information you need to use that tool, send us a comment by using the Was this page helpful? 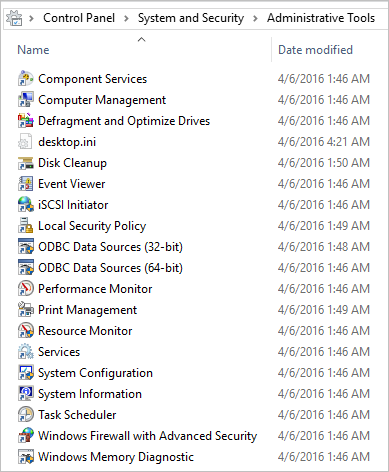 feature on this Administrative Tools in Windows 10 page. Details about the information you want for a tool will help us plan future content.